Lauren lost everything that mattered to her and just wanted the pain to end… She steps to the edge ready to die, but Cyril won’t let her fall. Neither is looking for love, but both of them find it the night fate brings them together. His love will change Lauren’s life and she, in turn, will rock his. A romantic story about two people fated to rescue each other. 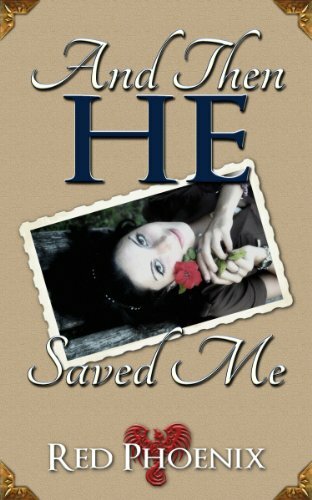 This hot little novelette explores the relationship between a young woman who has given up all hope and the man whose love can save her. Lauren is alone and in pain. Cyril rescues her from a suicide attempt, but must keep her with him to prevent another. As the night progresses, Lauren discovers that Cyril is exactly what she needs. In the process, she also exposes his huge secret. As fate would have it, she is the answer to his unspoken prayers. Their love ignites a passion that burns bright and true. Adult Reading Material (18+) This book is for mature audiences only and contains sexually explicit content.